Dr. Samura Kamara (in photo) was born in 1951 in Kamalo, Karene District. His father Pa Gibril Kamara was from Maworrko village near Rothuk and Magbanktha villages, Gberray Junction, Maforki Chiefdom, Port look District. Dr. Samura Kamara’s mother, Ya Bomporro Kamara ( nee Kanu ) is an indigene of Kamalo, Sands Look Chiefdom, Karene District, Northern – Western Region. Dr. Samura Kamara received his early education at the UCC in Bo, Southern Sierra Leone. He is married to Mrs. Elizabeth Massah Kamara ( nee Rogers). Mrs. Kamara an indigene of Pujehun District, in the Southern Province. Her mother hailed from Masam Kpaka and her father from Blama Massaqoi. Dr. Samura Kamara continued his education at the Saint Edwards Secondary School in Freetown, stayed at Montaque Street and Guard Street, Eastern Freetown, and was very active in football circles. He proceeded to Fourah Bay College where he earned a Bachelors Degree in Economics in 1972. He holds a PhD in Development Economics ( 1986 ) from Bongor University in Wales, United Kingdom. He has worked internationally at the Commonwealth, the IMF, and the World Bank. In a bid to enhance protection of its funds in the military ruled war-time Sierra Leone, and enhance effective use of international resources for the average Sierra Leonean. Dr. Samura Kamara was in 1994 appointed Program Manager by World Bank for its Structural support Programme to the country. He also served as Financial Secretary during this time apart of efforts to build trust in the management of the mainly international donor flows which constituted over three quarters of the government’s non- military Financial receipts. His presence and integrity ensured the flow of resources to pay salaries, pay for importation of rice, medicines, fuel and other essential goods. He stayed on as Secretary of State, Finance in early 1996 to ensure that such vital services to the people of the country were not cut off during the transition to civilian rule. He subsequently served as Financial Secretary and as Bank Governor, Minister of Finance and Minister of Foreign Affairs and international Cooperation in the APC Administration of His Excellency, Dr. Ernest Bai Koroma. Dr. Samura Kamara reformed Sierra Leone’s Public Financial management and strengthened public expenditure management, budget planning and execution. He pioneered the introduction of an integrated financial management information system. He was pivotal in making sure that the Auditor General’s report is now made public to hold authorities accountable. Dr. Samura Kamara also championed the banking sector, resulting in the establishment of more banks and the employment of thousands of Sierra Leoneans. Under the leadership of His Excellency the President Dr. Ernest Bai Koroma, Dr. Samura Kamara crafted and implemented Sierra Leone most successful development strategy, the Agenda for Change ( 2008- 2012). His stewardship of the economy as Finance Minister saw real average GDP growth of 5.2% per annum (excluding iron ore). It was during his tenure as Finance minister that Sierra Leone recorded the highest economic growth and gained the accolade of being the fastest growing economy. 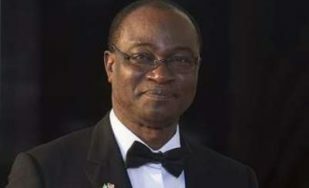 Before moving to the Foreign Ministry in 2012, Dr Samura Kamara, with leadership provided by the President, designed the Agenda for prosperity. As Minister of Foreign Affairs and International Cooperation, he is a champion of development through economic diplomacy. He strengthened Economic Cooperation and Resource Mobilization by signing and implementing joint Cooperation Agreements and Bilateral Memorandum of Understanding with China, Saudi Arabia, Turkey, South Korea and United States of America. He also strengthened bilateral relations through establishment of Embassies and Consulates in strategic geographical locations to promote Sierra Leone’s interest, including in South Korea; United Arab Emirates; and relocation of the mission in Tripoli, Libya to Cairo, Egypt. Plans are now being implemented for the establishment of resident diplomatic mission in Kenya. Further to the above, Dr. Samura Kamara facilitated and coordinated international support for the implementation of Government priority programmes in the Agenda for Prosperity, and mobilization and coordinate international support during the Ebola scourge and the recent mudslide and flood disaster in Freetown. He coordinated design and Government’s endorsement of agreements with USAID for the implementation of projects in Agriculture, Governance and Women’s empowerment, and also with the Japanese Government for the improvement of Energy infrastructure. His recognition as leader amongst his colleague Finance Ministers saw him chairing the African Caucus constituency meetings 2 years in a row. As Foreign Minister, he serves as Chair of the ministerial meetings of the African Union C10 committee on the Reform of the United Nations, and he is also chair of the AU Candidatures committee to promote African leadership in high profile global positions. He has on several occasions chaired the Peace and Security Council of the AU, which is the continental body’s most prominent council that is charged with ensuring peace and security in Africa. Dr. Samura Kamara is a builder of institutions. As financial secretary, he championed the merger of Income Tax Department with custom and excise Department resulting in the creation of National Revenue Authority. He was also a pioneer in the establishment of the National Public Procurement Authority. He professionalized and enhance the effectiveness and efficiency of the Finance ministry by bringing in qualified economist, accountants and other financial experts to lead key departments in the ministry. As Minister of Foreign Affairs and International Cooperation, he prepared and launched for the very first time, a comprehensive strategic document know as the Sierra Leone Foreign Service Transformation Strategy, 2014 – 2018. As in the Ministry of Finance, he enhanced increased staff capacity of the Ministry and mission, ensured salary increases in the Ministry, created new directories and facilitated training of staff within and outside the country. He upgraded the ICT infrastructure of the Ministry, ensured the production of Sierra Leone’s first diplomatic magazine and official Directory of sierra Leone’s overseas missions and Consulates, which were launched by His Excellency the president in July this year. He was the lead technocrat in negotiation team that won Sierra Leone debt cancellation in 2007. As chair of African caucus constituency he guided negotiations resulting in Africa getting a 3rd chair on the world Bank Executive Board. As Minister of Foreign Affairs and International Cooperation Dr. Samura Kamara led Africa’s ministerial negotiating team on the reform of the United Nations. Dr. Samura Kamara strengthened Sierra Leone’s multilateral relations by facilitating the ratification and/or domestication of the 1954 Convention n the status of stateless person; The 1961 Convention on the reduction of statelessness ; The 1963 Vienna Convention on Consular Relations; and the constitution of the Pan African Parliament and the world’s premier multilateral environmental protection agreements such as, Minamata convention on Marcury; the Nagoya Protocol; the Basel Convention on the control of trans- boundary movement of hazardous wastes and their disposal; the Paris Agreement on Climate Change. Throughout his over 25 years in leadership position at international and national levels, Dr. Samura Kamara maintained a high degree of professionalism and integrity, powered on by his love for country, excellence, growth, and accountability. He is respected and received with great honor in all the major capitals of the world, from Beijing, to Washington, Moscow, to London, Abuja, Nairobi and Addis Ababa. As Financial Secretary, he provided technical leadership for the cancellation of Sierra Leone’s debt as Heavily Indebted country. As Finance Minister, his concern for the poor ensured his design and implementation of programmes that resulted in poverty incidence falling from 66% in 2004 – to 53% in 2011. Outside his Work as government official, he has out of personal resources brought electricity to Kamolo, supported education in Kamalo by offering scholarships to hundreds. Growing up in the Montague street / Bombay / Guard Street/ Dove Cut market, he fully understands the pivotal roles played by market women and men in providing for families. Which is why he has supported business start-up by providing seed money to hundreds of businesses. Dr. Samura Kamara is a very affable person, a likeable character, very jovial but always serious in doing his duties. He is a religiously tolerant Catholic. His parents and most of his family are Muslims, many of whom he has been sponsoring to go on pilgrimage to mecca. In Freetown he grow up in the house of his Uncle, Alhaji Sorsoh Kamara who was Chairman of the jamiul Jalil Mosque, Oldfield Freetown. He has supported the construction of mosques in Kamalo and also installed solar lights at the Jamiul Jalil Mosque. He is a member of a number of traditional organizations and social clubs in Freetown. He plays tennis. He is the quite, unassuming, hardworking machine behind most of the APC’s successes in governance. Dr. Samura Kamara was choosing on October 15 as the Flag Bearer for the ruling All Peoples Congress for Sierra Leone’s 2018 Presidential Elections.